SAFETY, EVEN IN FIRST AID! 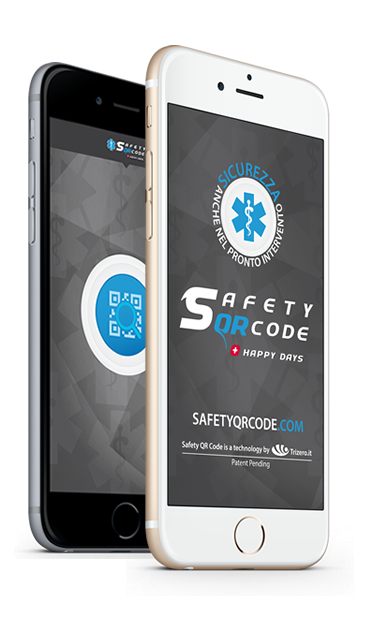 SAFETY QR CODE IS A SYSTEM WHICH ALLOWS TO HAVE USEFUL DATA ALWAYS AT DISPOSAL IN CASE OF EMERGENCY. 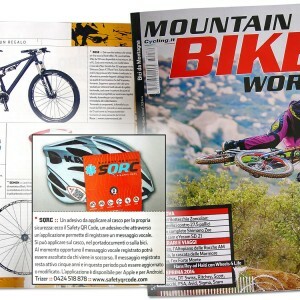 You can do this selecting the QR Code “Fast Download” you will find on the first page of the manual. 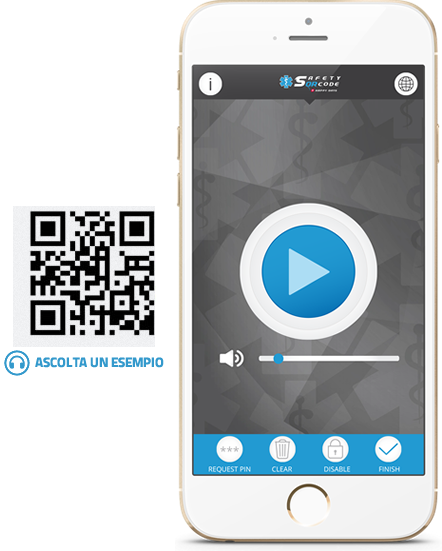 With the Safety QR Code app, select one of the six QRs and you will have 60 seconds at your disposal to record your vocal message. (Use a clear and loud tone of voice). Listen to the demo “What you should say in your message”, selecting the QR according to the page of the user’s manual. YOU CAN LISTEN AGAIN, EDIT, STOP AND DELETE YOUR MESSAGE WHENEVER YOU NEED IT. 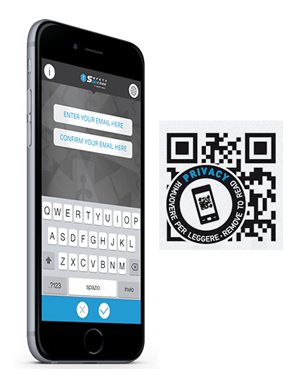 Only the first time, you will be asked to enter your e-mail address. This will be useful for you in the future in order to receive the necessary PIN code to delete and record a new message. 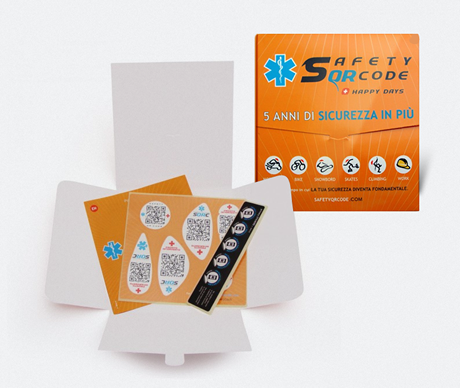 In order to guarantee your Privacy, we have also created a SAFETY STICKER* to be applied to the Safety QR Code sticker to prevent undesired people to listen to your message. * To make the reading confidential, the safety sticker shall cover one of the 3 squares of the QR Code. In order to read the message, you will have to remove it. IN CASE OF EMERGENCY, THE FIRST AID STAFF, EQUIPPED WITH ANY KIND OF SMARTPHONES, CAN IMMEDIATELY READ THE MESSAGE AND ACT. In case of emergency, the trained first aid staff will just have to select the QR code with any kind of smartphones able to read the QR Code, to recognise the Safety QR Code and listen to the message. AT THIS POINT YOU CAN APPLY THE STICKER where you think it is more appropriate. 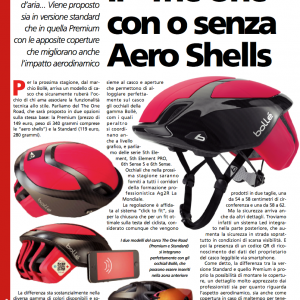 If we talk about sport activities like motorcycling and cycling, it is quite normal to think of the protection helmet. 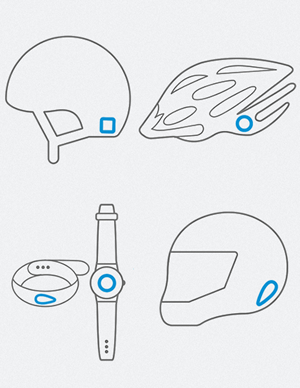 However, it is suggested to place the sticker, even behind the watch or on your credit card. …or on your most personal object, your Smart Phone! 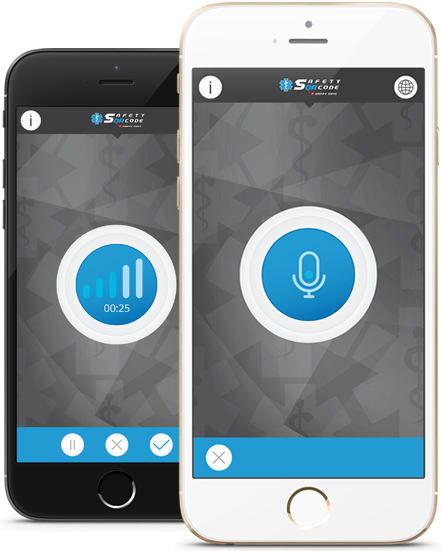 A simple sticker transforms into a voice recorder, thanks to your smart phone. 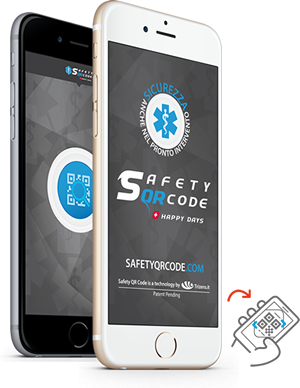 In order to record the message, you will have to install the free app “Safety QR Code” (Apple and Android), and it will be possible to listen to it from all devices having a QR codes reader. 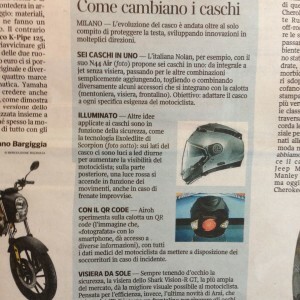 Discover what paper and online newspapers, bloggers and social users say about us.